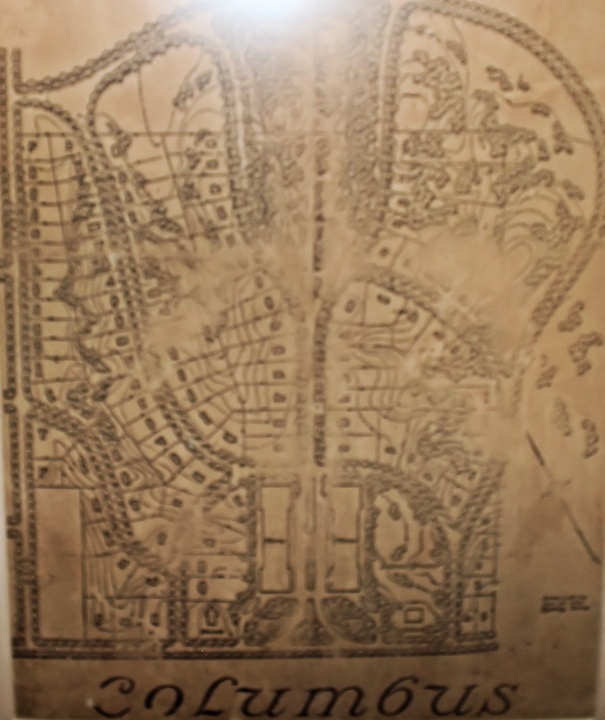 Map rendering of the old Columbus, Kentucky. Courtesy CBSP. Click for larger photo. Columbus, Kentucky is the oldest town in the Jackson Purchase of Kentucky. It was first settled on the banks of the Mississippi River and known as Iron Banks. The name comes from the color of banks of the bluffs that rose 150-180 feet above the river. The name of Iron Banks was changed in 1820 to Columbus, after Christopher Columbus, the Italian explorer who discovered the Americas in 1492. The town received its first post office in that year and was also recognized by the state assembly. Originally Columbus was the county seat of Hickman before it was located in Clinton. 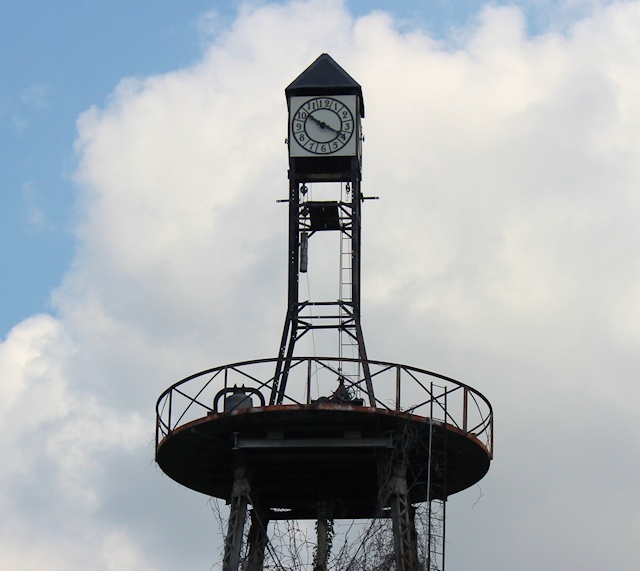 In 1860, the town was formally incorporated just before the beginning of the Civil War. In March 1862, Columbus and nearby Fort DeRussey was seized by Union troops after being abandoned by the Confederates. The North would occupy Columbus until the end of the Civil War in 1865. Columbus was a very strategic transportation hub during the mid and late 1800s (one of the reasons why the North wanted control of it during the Civil War). It was located on the Mississippi River and was the northern terminus of the Mobile & Ohio Railroad. 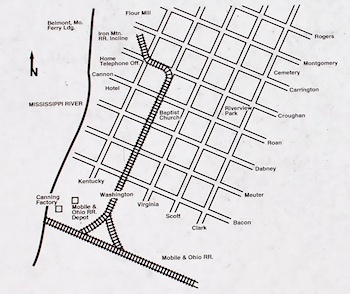 The town became a large transfer center for goods on the Mississippi River being shipped south on the railroad. The railroad continued into Missouri with rail cars being shipped on barges across the river. 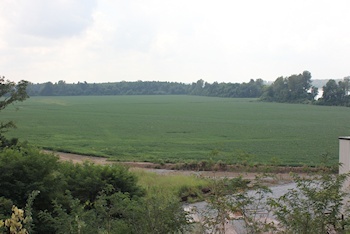 There was not a railroad bridge at this site, which were uncommon during this era, especially spanning the great Mississippi River. Railroad cars being transferred by boat across the Mississippi. Courtesy CBSP. 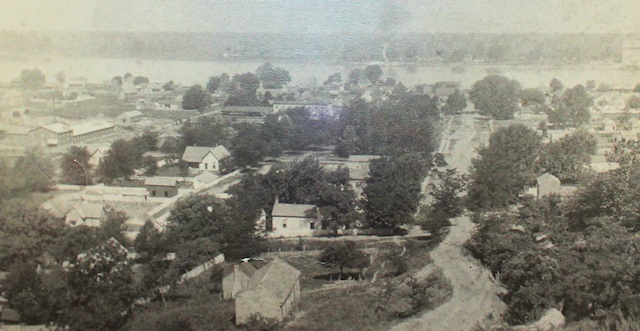 The town would flourish for several years until the 1880s. 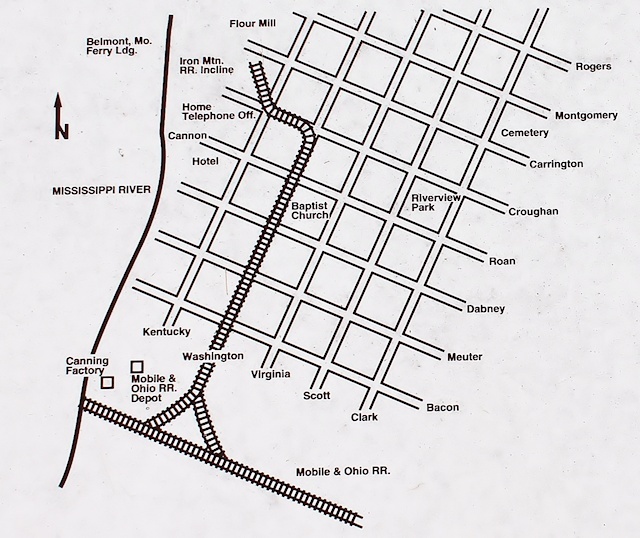 Due to a new terminus at Cairo, Illinois, freight and passenger service declined at Columbus. In 1912, the railroad at Belmont discontinued service due to the large number of bridges that spanned the Ohio and Mississippi Rivers. 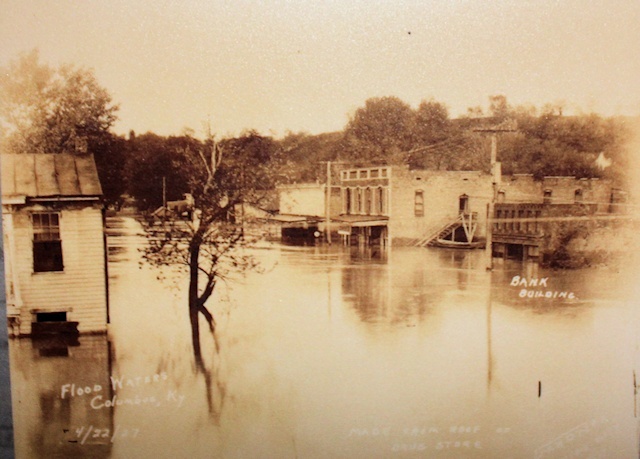 Throughout its history, Columbus was plagued with numerous floods. 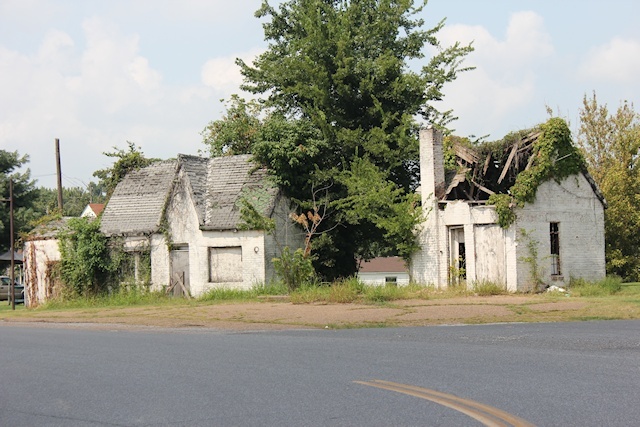 Being situated just above the high water mark of the Mississippi, the town suffered often. In April 1927, a great flood on the Mississippi River broke the city’s levees. Water stayed in the town for about three weeks. To add insult to injury, another flood in June covered the town. With the levy gone, the river current swept against the town’s embankments. Amazingly, the river eroded 350 feet inland in just a few weeks. The entire business district sank into the Mississippi River and only about 13 of the town’s 150 houses were unaffected. A flooded Columbus, Kentucky. Courtesy CBSP. The Red Cross established relief operations at Columbus and it was determined the damage to the town was too severe to rebuild. Marion Rust, who was in charge of the Red Cross operations, decided to rebuild the town on 80 acres of land located 140 feet above the river and one-half mile to the north. The new town was laid out and contained a large business district with several dozen house lots. In September 1927, the few salvageable or undamaged homes were moved to the new city. If an owner couldn’t afford to pay to have the home relocated, the Red Cross footed the bill. The Red Cross paid $87,710 for the project, which equates to about $1.2 million in today’s dollars. In 1930, US 51 bypassed Columbus in favor of Arlington and Clinton. At the time, the city was served by Kentucky 58 which connected Columbus with Clinton. 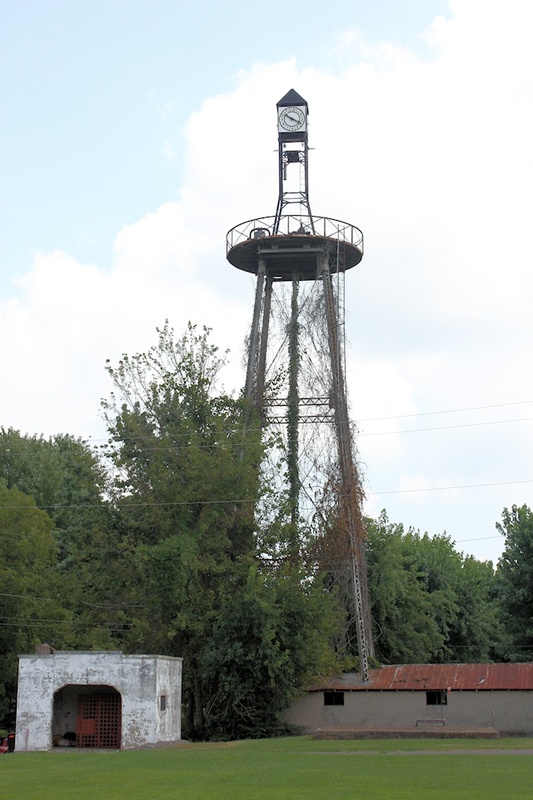 Kentucky 123 was commissioned in 1931 and served as a vital north-south link for the town. Over the years, Columbus became more isolated with rail service gone and more people traveling by automobile. Ferry service was suspended many years ago at the end of Kentucky 58. Economic activity is largely limited to a nearby barge operation and the Columbus-Belmont State Park, which was created in 1934. The site of Old Columbus today. 1860: 963, including 118 slaves. Clock tower and adjacent jail-like structure. A Tale of Two Cities in the Purchase: Columbus peaked in the 1870s when nearly 1,600 people lived there. 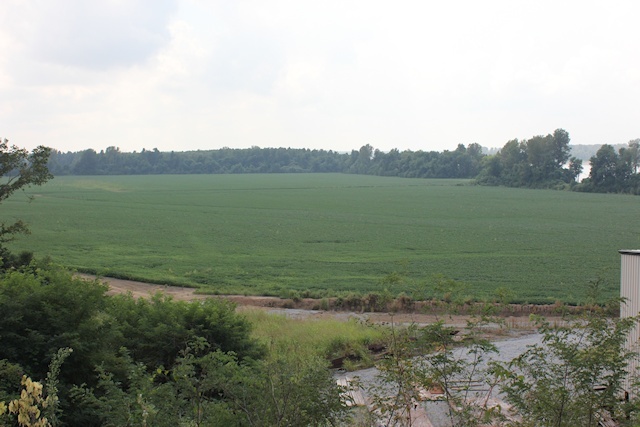 It was the second largest city in western Kentucky at the time, behind Paducah, Now, the second largest city in western Kentucky is Murray. Interestingly, in 1870 Murray had the nearly the same population as Columbus does today, which is around 170 people. Transportation, technology and geographical challenges have completely changed the scope of cities and towns over the last 150 years.